We have been dealing in firewood since 1998, sourced from swiss (Geneva and Vaud) and european forests. The wood is dried in the open air for at least two years while at the same time being protected from the elements. 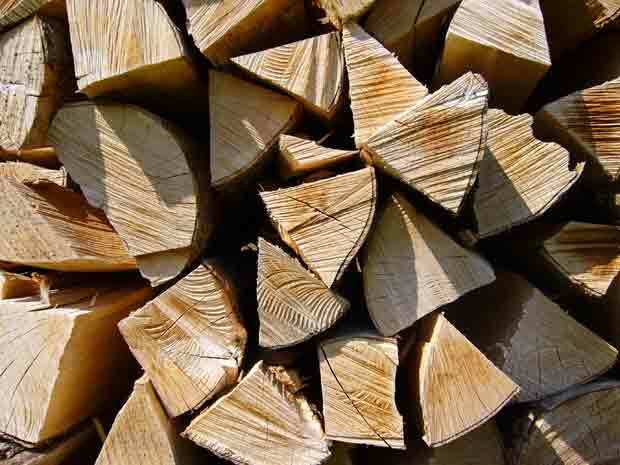 Subject to availability, we can supply a variety of types of wood to enable you to get the best from your fire.We are open and effect deliveries from Monday to Saturday. Our delivery vehicle allows us to deposit the wood at the far end of your garage as well as in underground car parks offering a minimum of 2 metres' height. It is also possible to take delivery at the farm. Beech is the most commonly used firewood in Switzerland. Calorific value 100. Oak will give you a fire that burns slightly more slowly. Calorific value 97. Birch gives off a bright flame and a pleasant smell. Calorific value 82. Hornbeam produces beautiful embers as well as a lot of heat. Calorific value 104. Ash is a slightly less popular hardwood, hence its lower price. Calorific value 97.